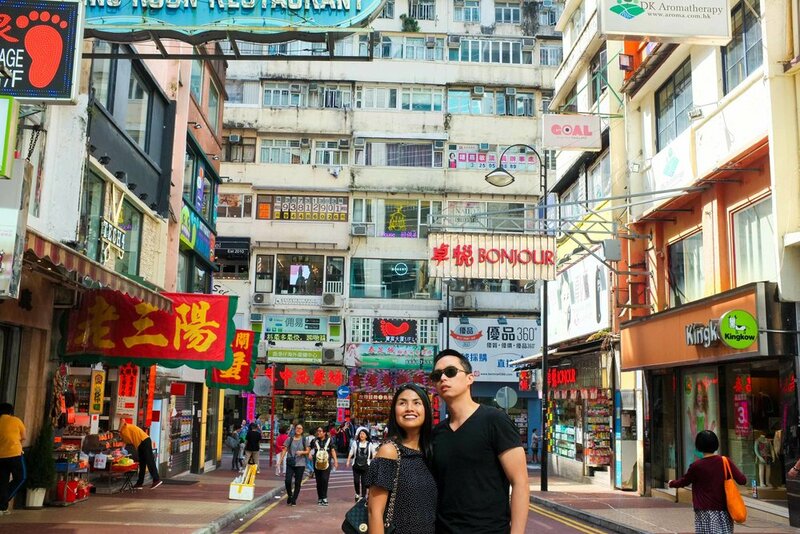 Things We Learned From Traveling As A Couple — Now That's a Honeymoon! They say traveling together tests a relationship. Dexter and I have seen 9 countries together since we got married in 2015 and we can attest to that. We both love traveling whenever time permits and when we do, we learn new things about each other - both awesome and annoying things. So here’s some tips we want to share with you, things we personally learned from our journeys together. 2. And remember how you packed your other half’s suitcase. I usually fold and pack Dexter’s clothes which means when we arrive at the hotel and he needs something from his luggage, it’s endless questions of “April, where are my socks?” “Did we pack the adaptor?” “Where did I put my earphones?” So I like keeping a mental picture of how I packed his bags. Most of the time. 3. Bring medication for emergency. I noticed that I’m allergic to certain food and get an outburst of skin rashes, while Dexter gets bad headaches when on a plane. Always bring medications you know you’ll need. No one wants to be sick on a holiday! 4. Delegate tasks. Consider these questions. Who books the hotels and flights? Who looks up places to go to? Who does the research on restaurants or museums worth visiting? Are reservations needed? Who keeps the travel documents? When responsibilities are delegated, it’s easier to map out an itinerary. 5. Window seat or aisle seat? Dexter likes the window seat, I prefer the aisle seat. When Dexter asks me to choose where I want to eat, we always end up where he really wants to go to anyway. (Ugh.) During plane takeoff, Dexter would be asleep while I’m all up and ready to talk about our trip. (Ugh.) Everyone has their own travel preference and it’s somehow important that you understand your individual personalities as a couple. 6. An itinerary that works for the both of you. To avoid conflicting ideas on where to go and what to do, plan your holiday properly. One might like visiting museums, while the other prefers shopping. One might want to sleep in and start late in the day, while the other wants to be first at the breakfast buffet! Keep it balanced and make sure both of you get the best from the vacation. Compromise. 7. But be flexible with your travel plans. Not everyone finds it easy to follow a strict itinerary. If there are activities you can’t squeeze in the day, keep an open mind if things don’t go as planned. Allow your arguments to be short-lived to avoid ruining the rest of your trip. 8. Something can always go wrong - accept it and don’t linger. Even a well-planned itinerary will have its glitches. On our honeymoon flying back from Cancun to London, I made the mistake of directing our cab driver to the wrong terminal. We had to walk a long, long way to the right one carrying two big luggages each! We both weren’t talking the whole time, but even if there was a little tension, we easily let it go when we arrived at the right terminal. Sorry Dexter, here’s my public apology by the way. 9. Be a tourist and take pictures. Lots of them. Although it can already feel too awkward taking pictures of your lunch with your lunch, silly selfies, or asking someone else to take your picture, just keep ‘em coming! Documenting travels is how you do it. A year or ten years down the line from your holiday, it would be lovely to look back to those moments! 10. But don’t be checking Facebook on your phone all the time. I really hate this, but I am guilty of always being on my phone as well. But wouldn’t it be nice to just savour the moment, the meal, the conversation, the atmosphere of a different culture around you? 11. Relax and enjoy. It’s your vacation so make the most out of it! Now it’s your turn! Share with us the things you’ve learned from traveling with your loved one! PLAN YOUR HONEYMOON WITH OUR HONEYMOON GUIDE BELOW!